Flip a coin. If tails, discard the top card of your deck. If heads, your opponent's Pokémon is now Paralyzed. Discard the top three cards of your deck. 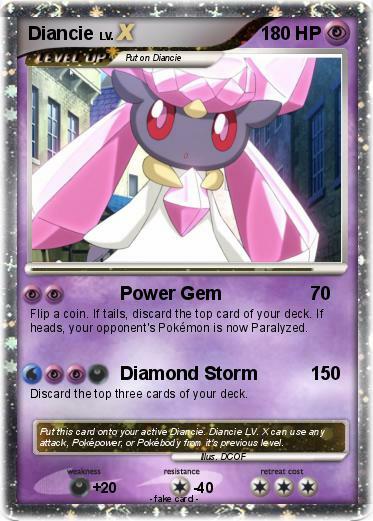 Comments : Put this card onto your active Diancie. Diancie LV. X can use any attack, Poképower, or Pokébody from it's previous level.